The Sig Sauer SRD9 9mm Pistol Suppressor features a Grade 9 Titanium tube and 17-4PH Stainless Steel baffles allowing for light weight and durability. The SRD9 features a booster for use with "Browning Tilting Barrel" type pistols. 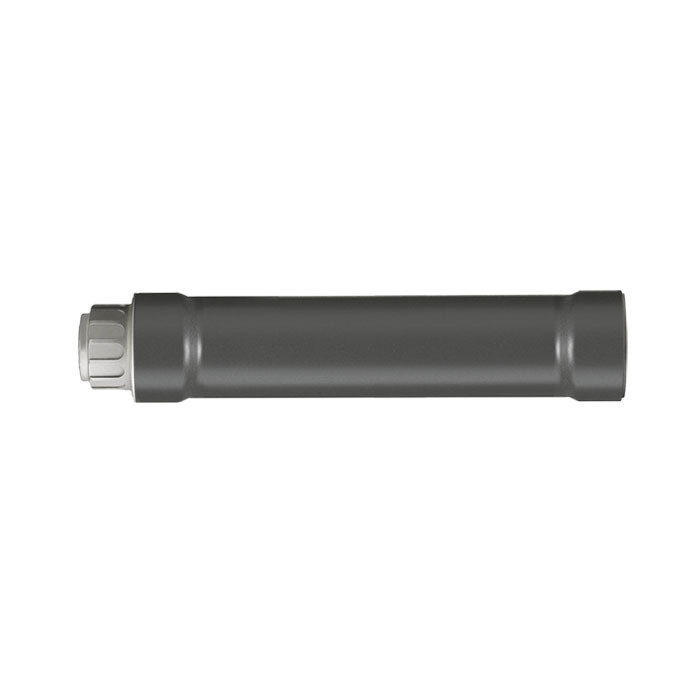 A fixed barrel spacer is also available. The SRD9 ships with both 1/2”x 28tpi and M13.5x1mm LH pistons. -Length: 7.2 x 1.38 in. As always the guys at Top Gun made my suppressor purchase easy. They helped me fill out the forms completely and made the process simple. Great prices and great service yet again. Thanks!